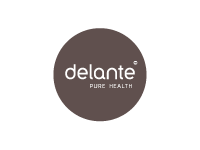 Delante Health AS produces high quality microencapsulated omega-3 fatty acids. Delante’s proprietary technology enables combination of fat-soluble and water-soluble nutrients in the same food supplement product. LipidFizzTM, Delante’s main product allows addition ow water-soilluble vitamins to omega-3 based products in an appealing an consumer-friendly format and with enhanced bioavailability compared to existing products.